Sail on insurance | Get Insured to stay Secured » Health insurance changes you need to know in 2018! Health insurance changes you need to know in 2018! The health insurance mandate of the Affordable Care Act is no more. This is not a rumor! As per the new tax law and JOBS act passed this year by the GOP, the Obamacare mandate is eliminated. But that’s not all! The aftermath of such a decision is in a swinging position. Whatever the case is, our concern still remains whether or not health insurance is a must buy for everyone, whether or not you will make a big-time profit by not buying an insurance policy, and whether or not this new tax bill will dinge the health insurance market! What does the health insurance mandate repeal of 2018 mean for you? The first thing that it implies, is you can walk away clean without buying any health insurance while filing your tax return. But you can only shoo this healthcare penalty from 2019, as the law is still intact through 2018. On the other hand, this decision won’t affect those who qualify for all suitable exemptions while calculating their taxes. One such criterion for exemption could be you having a short coverage gap, like say you are not covered for less than 3 months in the respective tax year! We will be discussing the rest of the criteria later in this post. Moreover, by annulling this healthcare mandate, one risk has been increased! The hike in health insurance premiums! It is expected that healthy and young people, who felt that buying a medical insurance is a big burden, will straightaway avoid purchasing one. This means a big loss for the insurance company, and which in turn will surely trigger an increase in premium rates. So, buying a policy in 2019 might turn out to be costlier than it was before and now. What’s the reaction of medical insurance companies on the new tax law? The insurance companies have already run against the passing of this bill. They have sensed the pain of losing potential customers due to these decisions. All major groups namely Blue Cross Blue Shield Association, America’s Health Insurance Plans, American Medical Association, American Hospital Association, AARP, and the American Cancer Society, all have opposed this massive tax cut and JOBS Act. They are fearing the results they might see in 2019. Will it be a great loss? We don’t know yet. But it won’t be entering the line of profit, that we know for sure. – As reported by NYTimes. As I have said earlier that the health insurance mandate is not annulled for 2018, you need to have a coverage same as before to avoid penalty. Still, if you don’t have one, then you will have to figure out the suitable exemptions you might qualify for. If you couldn’t purchase a coverage because you were in a penitentiary during the open enrollment period of Affordable Care Act or for other legal and correctional reasons. If you found that the minimum coverage plan is unaffordable as per your income. This will be calculated based on what percentage of your income the coverage costs. As said earlier in this post, if you can show you went uncovered for less than 3 months in the respective year. If your income is below the threshold for filing a tax return. If you are a member of health care sharing ministry and there’s a collaboration among your members for fighting medical expenses. 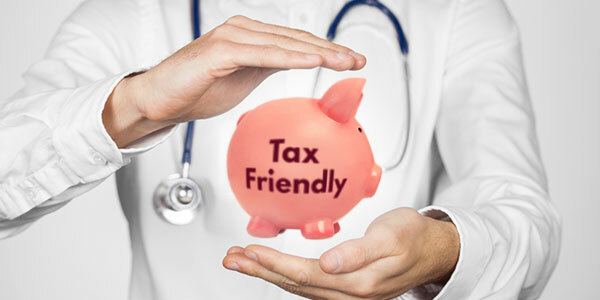 For more details, refer to the IRS Article on Health Care exemptions.